Something we find ourselves lamenting often here at Jax Restaurant Reviews is the lack of good, independent restaurants on the westside. You westsiders are lovely people and you deserve better. So when we recently found ourselves on the very westside with grumbling stomachs, we decided to seek out a unique meal spot. Turns out we were around the corner from Gators BBQ at 8083 Baymar St (Corner of Cahoon & Baymar). 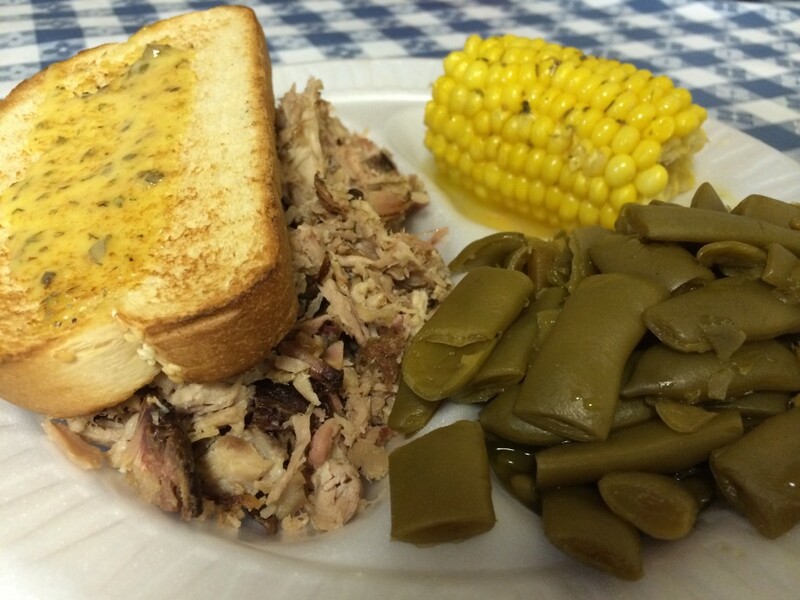 Gators BBQ is a small, quick service style, family owned restaurant. They are open Monday–Saturday 11am-8pm. A sign stated they offer dine-in, takeout, and catering, and it appeared from our time at Gators that they do a good bit of takeout. More folks came in and picked up their food than ordered and ate in. The folks at Gators are the definition of hospitable. They are quick to serve you and a few different employees checked on us while we were eating. It wasn’t annoying or overkill, it was more like going to your grandma’s house and being treated much better than you actually deserve. For our meal we tried the sweet smoked pork with garlic toast, corn on the cob, green beans, and BBQ beans ($7.99 for the lunch portion + garlic toast and two sides) and 10 piece wings ($7.99, fried, no sauce) and banana pudding. I wasn’t entirely sure what to expect when I ordered sweet smoked pork. It turns out I should have expected regular, smoked pulled pork. Even though I ordered a lunch portion, there was quite a lot of food on my plate. Very generous portion sizes at Gators BBQ. The pork was pretty good. It was tender and just a little smoky. A solid choice. The garlic toast was a piece of thick cut toasted bread with a brush of a cold herbed garlic butter spread down the middle. That herbed garlic butter was just plain delightful. It was also on my corn on the cob. The green beans were typically southern green beans- soft and salty. They were fairly standard for green beans in the south, and also better for me than fries would have been. The BBQ beans were another standard yet solid choice. They had a lot of flavor and were in a thick sauce as opposed to a soupy sauce. The wings were not as expected. They were simply fried with no sauce to dress them. 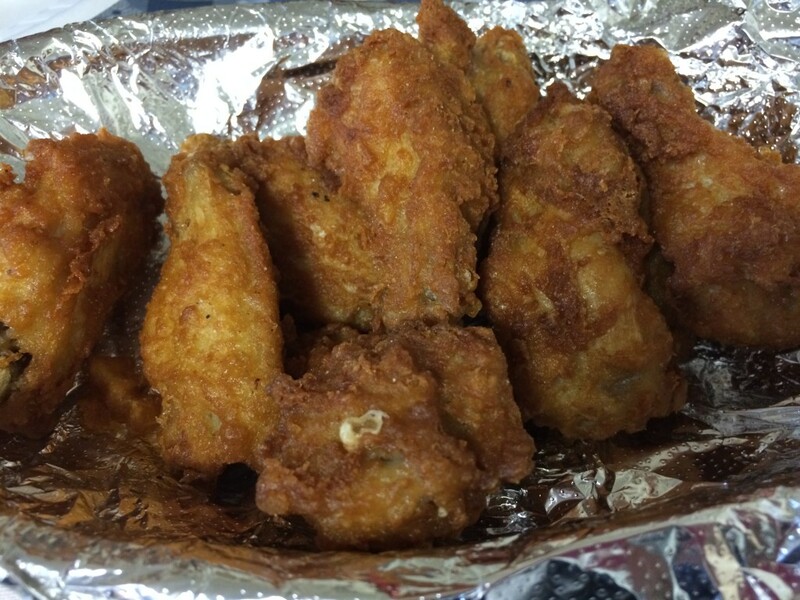 The wings were good and there were sauces on the table to drench them in if one so chose. Following our meal we tried Gator’s banana cream pie. My biggest complaint is that I couldn’t find any real pieces of banana in my pudding. 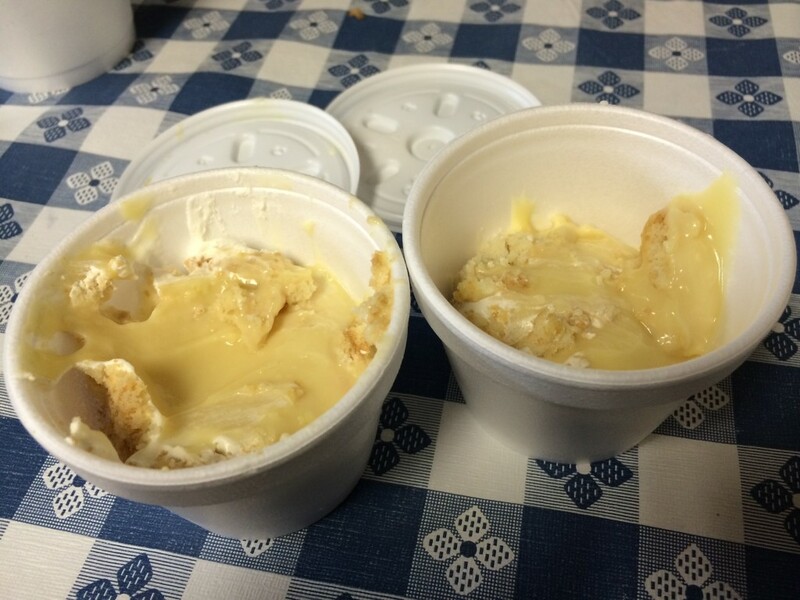 It seemed to be banana flavored pudding with some whipped cream and vanilla wafers. All in all we enjoyed our meal at Gators BBQ. 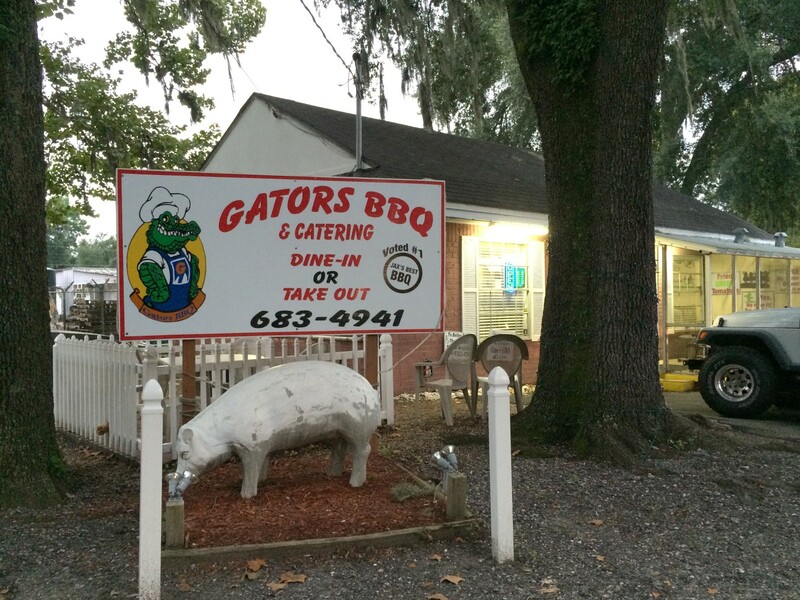 Good barbeque, fast service, and some of the nicest people around make Gators a winner. Tagged barbecue, free wi-fi, kid friendly, seafood. Bookmark the permalink. A great place to eat! The food is wonderful and delicious! It is always fresh and served hot! We have had gators barbecue cater our food at our church many many times and at our neighbor hood Association meetings! Evertime we use Gators Bbq people always come up to me and can’t say enough about how great the meal was! When you go to Gators you will notice that the building is small and the tables are few but the wait is worth the meal! I love Bbq and I have ate at most of all of the other Bbq places in Jacksonville and have never tasted barbecue like gators so delicious. I have read the other comments about gators barbecue and it sounds to me like those folks that are commenting on greasy food place like Golden corral and other stupid sayings they don’t need to go to a barbecue joint I need to stay home and just eat a microwave dinner! Best barbecue place in town go gators!